In 1937 MacCallum Photographers, a Philadelphia based photography firm, operated out of 1600 Sansom Street. In 1939 they moved to the Times Building located at 110 South Sixteenth Street. By 1944 they opened a branch office in Ardmore, Pa. and formally changed their name to MacCallum Stores. This collection of negatives and photographic prints depicts general campus scenes from 1934 to 1944. 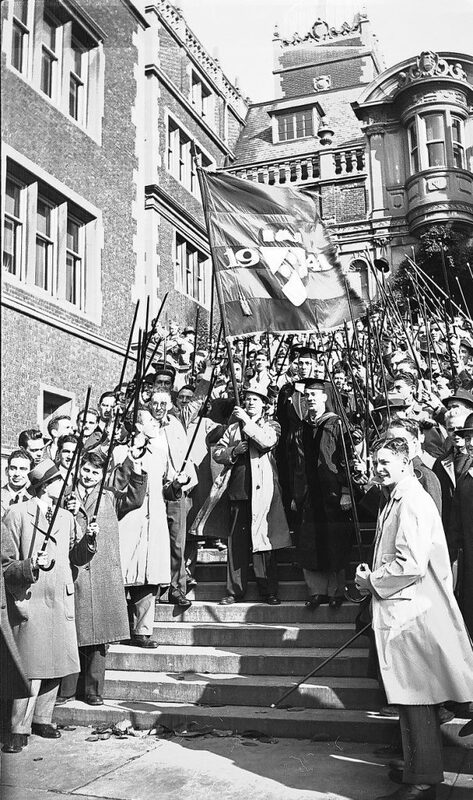 The images are largely related to traditional events such as football games, cane day, alumni weekend, and graduation. Alumni Register 40th anniversary n.d.